Help to transform teenagers into resilient, confident young people who can launch well in life, and love doing it. Click here to see a transcript of the above video. Some of our 9,000 volunteers are from a naval or military background, but many aren’t. And there are many different roles you can choose from, and gain excellent, nationally recognised training and qualifications for. We need people with energy, happy to roll up their sleeves, get involved, and make a positive difference to teenagers who are often struggling in today’s world. Share your love of being out on the water with the next generation, through the opportunity to teach watersports such as kayaking, sailing, powerboating, canoeing, rowing and windsurfing. Don't worry if you don't have prior experience, with us you can gain national qualifications with the RYA and BCU to teach, all you need is lots of enthusiasm! If you aren't able to commit to a regular volunteering role, there's still plenty of ways you can get involved and make an impact – no commitment is too small and a role on a unit's Management Team could be a perfect fit. You could volunteer in roles such as Chairperson, Treasurer, Secretary or Fundraising. 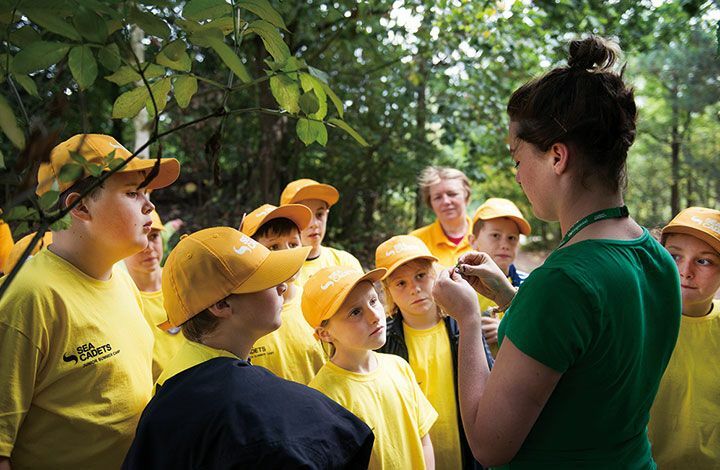 These roles are perfect if you're not able to be at your local Sea Cadets unit every week, or if you have a specialist skill you'd like to share. 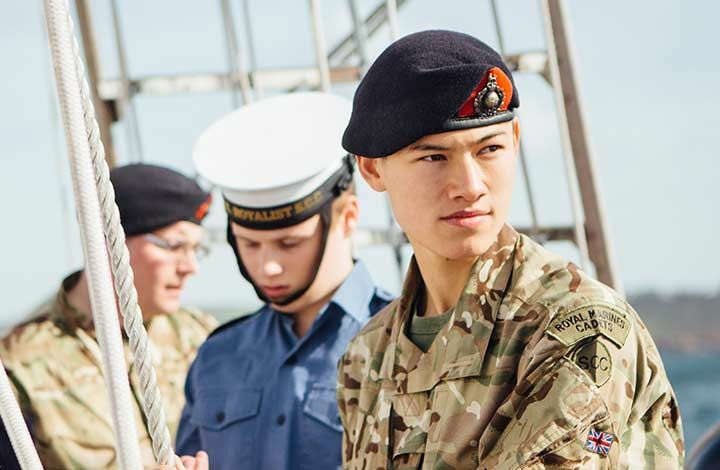 Whether you opt to be a uniformed leader, or wear your own clothes, you can be hands on, teaching cadets at your local unit. 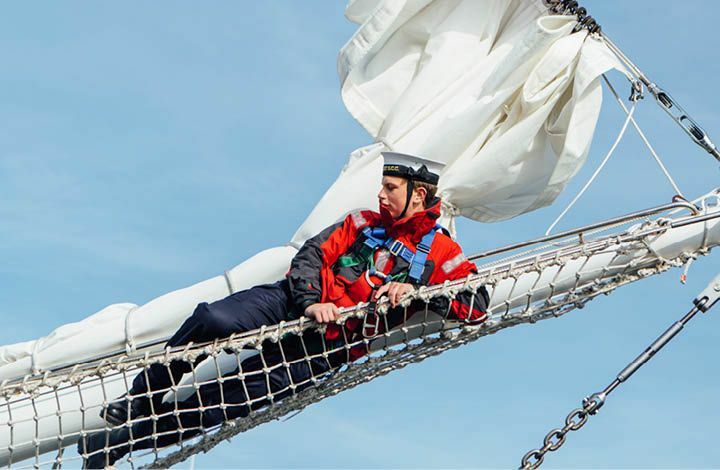 You'll run lessons, activities, games, projects and events that help cadets progress through The Sea Cadets Experience, gaining qualifications and confidence as they go. A role at a unit is ideal if you can support local young people on a regular basis, are happy to throw yourself into teaching activities and seek a rewarding role where you'll be the key to helping young people flourish into confident, capable young adults. If you can play the drums, a bugle, trombone, clarinet or even a glockenspiel, come and make some noise with us! 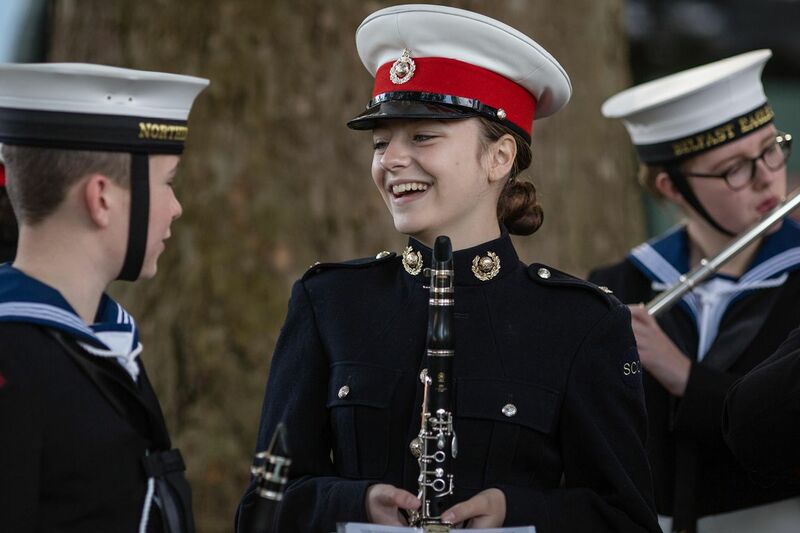 A unit band can compete in things like our National Band Competition at the Tower of London, or take part in Trafalgar Day Parade, playing down The Mall, and your skills could get them there! If there isn't currently a band at your local unit, you could be the one to start one and help cadets discover a new passion! Whatever your experience and skills, they could be utilised to help young people flourish – photography, marketing, football coaching, IT, social media, finance, driving. The sky's the limit, so why not contact your local unit for an informal chat on how you can help them to keep the doors open. Head to our Unit Finder and put your postcode in to find the units nearest to you. You can then contact them directly to arrange a visit and joining up! They'll be delighted to welcome you!